(Issue 88) We don't send spam. We won't give out your email address. Get ye to George Smith Shellfish (stall 127 at the Indoor Market) for anything from crayfish tails, to dressed crab, to oysters (fully prepared if you ask nicely). 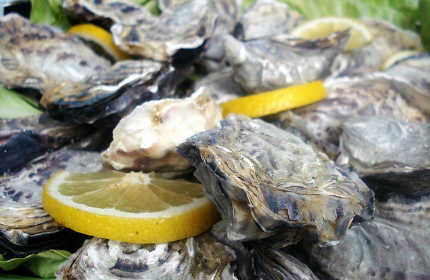 A third generation family business, all shellfish is sourced from day boats. Just remember the cool bag. The JQ's Eight Foot Grocer has all your chacutuerie-based needs handled with its selection of Wenlock Edge Farm cold cuts. 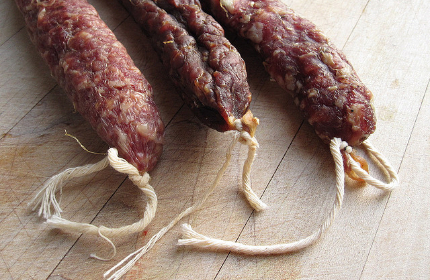 Plump for the fennel salami, which is made using only pigs from the team's Shropshire base and is supplied exclusively to Eight Foot. 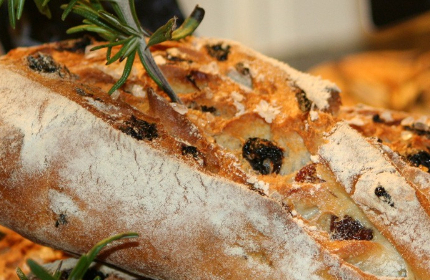 Choose anything from rustic baguette to sourdough with raisin, rosemary and sea salt (pictured) as your picnic base. 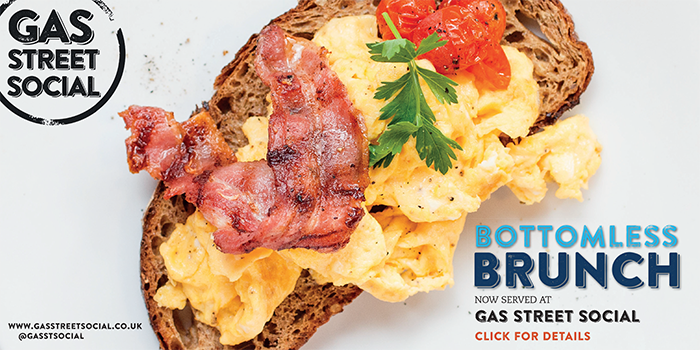 Bread Collection's HQ and cafe is in Solihull with a handy Colmore Row outpost for you city folk. We defy you to resist the patiserrie while you're there. 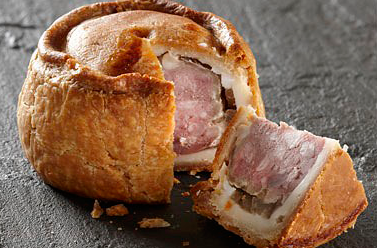 Prepared using a combination of local free range pork shoulder, belly meat and a super secret blend of jelly, find room for Walter Smith's award magnet of a pork pie in your basket. 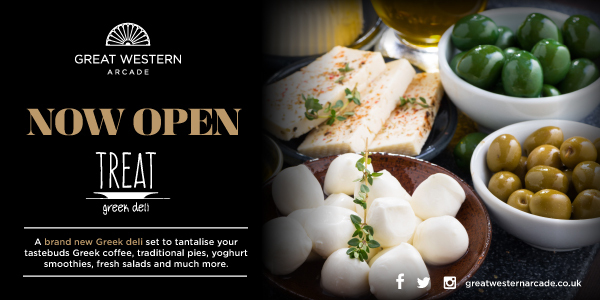 Available across the region, time to look for a new specialty, Melton Mowbray? 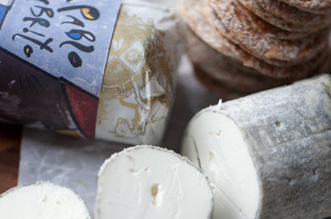 Anderson & Hill has been stocking the top notch cheese of Brock Hall Farm for years. And the pick? 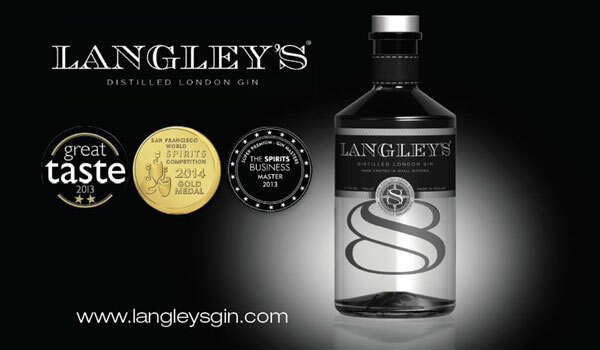 The ash-rolled Pablo Cabrito, with its smooth texture, citrus complexity and sumptuously long finish. A glorious cheese with biscuits, or as part of a salad with pine nuts. 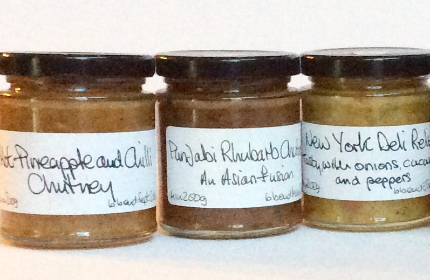 The Deli in Boldmere (that's in Sutton Coldfield for our subscriber in Belarus) has got all sorts of picnic-worthy items including Poachers pork pies and oodles of first rate cheese but for its pure ambition, our pick is the homemade Punjabi rhubarb chutney. 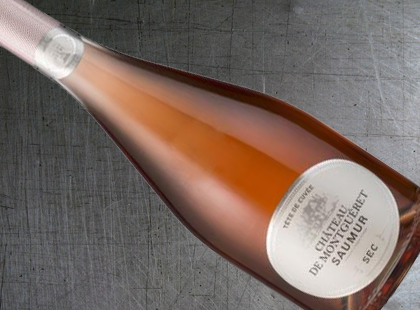 Hand-harvested and made to sparkle using the same method as Champagne, this Château de Montgueret is available at Connolly's for a wallet friendly £10. Expect a floral nose with hints of rose and sweet red fruit, plus a touch of acidity, ensuring a good match with strawberries. 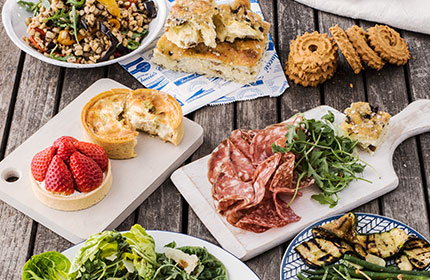 Pre-order a selection of antipasti, tarts and insalata for collection from Carluccio's Brindleyplace outpost. 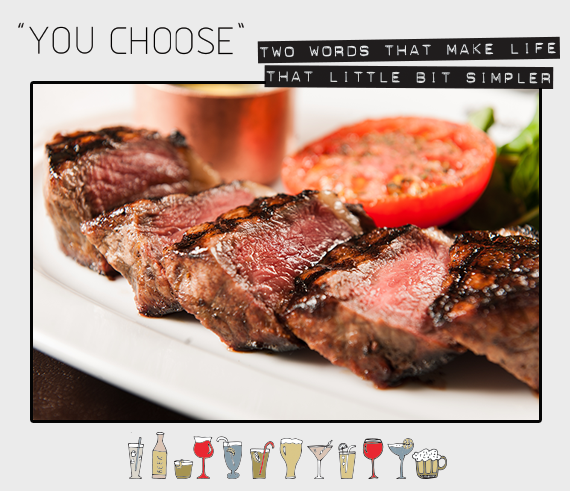 From £45 for two, you can request exactly what you want by giving 24 hours' notice or go for the chef's selection on the day. Menu here. If you spend but a fraction of the time we do trawling social media, you'll already know that the city is producing increasing numbers of tripod wielding heroes. 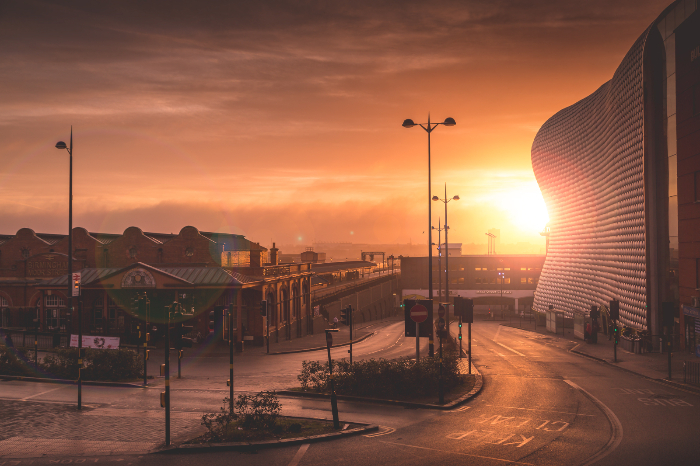 And this week, our photographer on the up is Ross Jukes, who captured the Bullring on roughishly handsome form as part of one of his regular 5am sojourns. Taken from the ramp that connects Moor Street Station to the city, we spy but a solitary car in the sun-filled frame and it's that elusive epoch of stillness that Jukes has recorded, in what is usually an entirely frenetic part of the city, which makes this image so captivating. You can buy a selection of the prints here but Jukes would rather you followed his progress and future works - apparently the best is very much yet to come. Now back to bed with you, Jukes. The minions, breakout stars of the Despicable Me films, here get their own flick – and while it may not add up to more than a series of sketches, it would take the stoniest of hearts not to warm to the little yellow… Things? 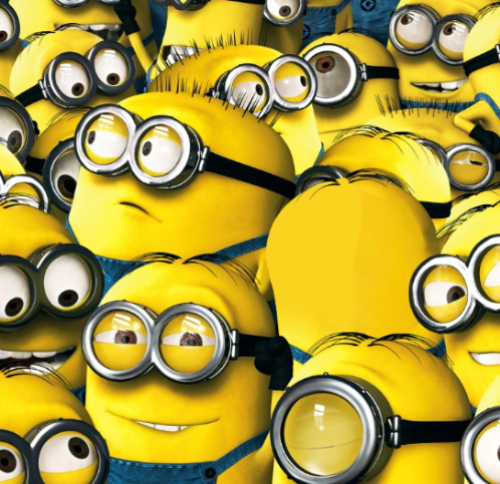 Set before they teamed up with the previous films’ Gru, a fun opening sequence rapidly takes us through their history of serving evil masters – everybody from a T-Rex to Dracula – before their search for a new master takes three of the minions to London, working as part of super villain Scarlett Overkill’s plan to seize the British crown. A classy voice cast (Sandra Bullock, Michel Keaton and Geoffrey Rush) sportingly play second fiddle to the incoherent gibbering of the principals, and while it’s odd at first to see them promoted from little-goes-a-long way supporting players, they’re still by far the most endearing non-Pixar ‘toon characters out there. Kids will eat it up. Indulge your inner magpie with the gold and garnet rings (pictured) of artist jeweller, Wendy Ramshaw and her installation, Room of Dreams. 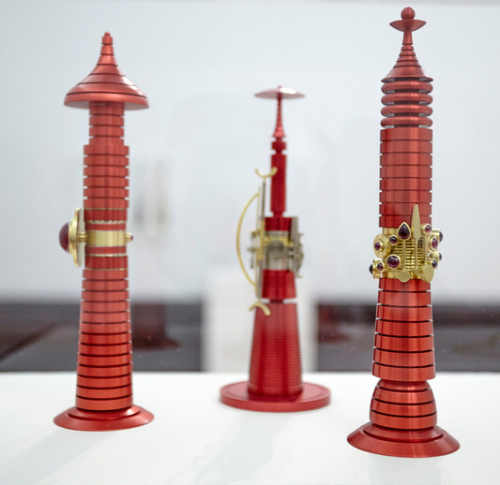 At the Birmingham Museum and Art Gallery until May 22, 2016 and bespeckled with jewels and a whole heap of red anodised aluminium, the pieces - created over more than a decade - link to some of the darker and more curious fairytales, including the brothers Grimm's Rumpelstiltskin. The cabinet pictured, which makes up but a fraction of the acclaimed installation, is born out of Lewis Caroll's Through the Looking Glass. Though we would have some concerns about sporting them all at the same time, the Red Queen's Sister (closest to camera) consists of no less than 14 18ct yellow gold rings, some soft and opulent, others more severe and bound to end any knuckle duster-based fights that may or may not kick off at BMAG. "I don't know if I should, but I judge people by their picnics."